NEW YORK (WABC) -- The New York City Department of Education said it hopes to encourage young people to pursue careers in education. A recent survey revealed the number of students planning to enter the education field recently hit a 45-year low. The 'Teaching Academy' at Richard R. Green High School provides participants internships in classrooms around the city, offering them hands on experience as teachers and a head start on a possible future career. 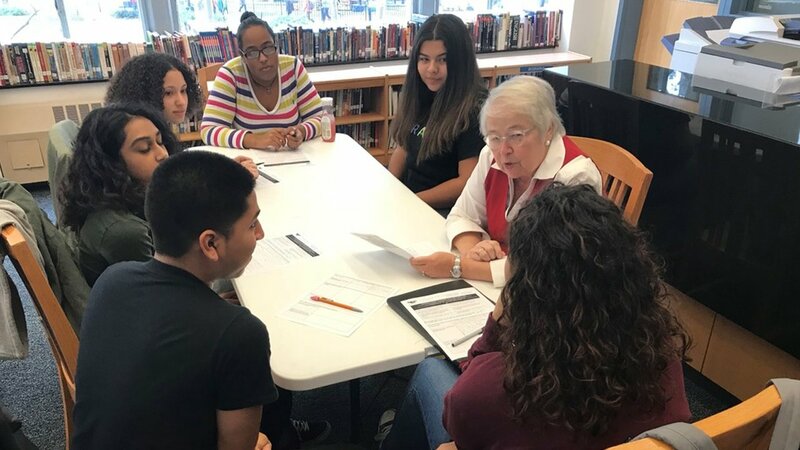 "I am actually on a mission not just in this school, I have asked all high schools in the city to have future teachers' clubs in their high schools," Chancellor Carmen Farina said. You don't have to be an official teacher in a classroom but you all have to take some responsibility for teaching whether it be your own children or society as a whole." Farina visited the Teaching Academy Friday afternoon to participate in a student discussion and convey to participants the great responsibility teachers bear as well as how important it is that teachers connect with students and help them feel important.